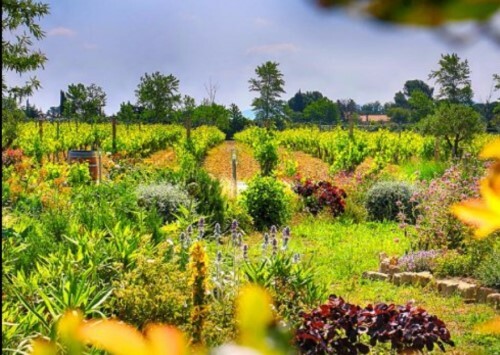 What a combination – a welcoming B&B with great views towards the magical medieval city of Carcassonne (11 Aude, Occitanie), and which comes with its own vineyard and wines! 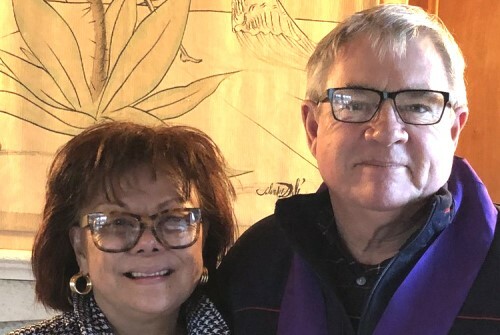 Joe and Liz O’Connell founded O’Vineyards with their son Ryan in 2004 when they settled down in the northern suburbs of Carcassonne, intent on crafting the perfect wines for those big, long lunches . In so doing, they constantly strive to blend the best techniques and attitudes (and drinking habits) of the new world with the refinement, wisdom and character of the old world. Here the wine is classified as Cabardès AOC, and the local country wine classification IGP Cité de Carcassonne. 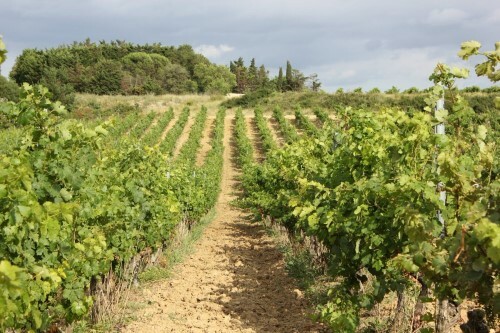 The production is of red and rosé wines from this most westerly part of the Languedoc. 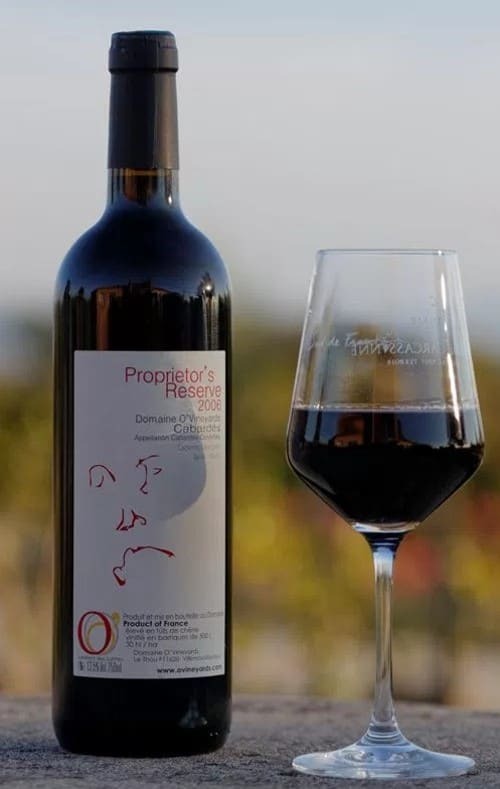 The appellation is the only AOC in France that allows the blending of grape varieties typically found in Mediterranean climates like Syrah and Grenache with those found in Bordeaux like Merlot, Cabernet Franc and Cabernet Sauvignon. 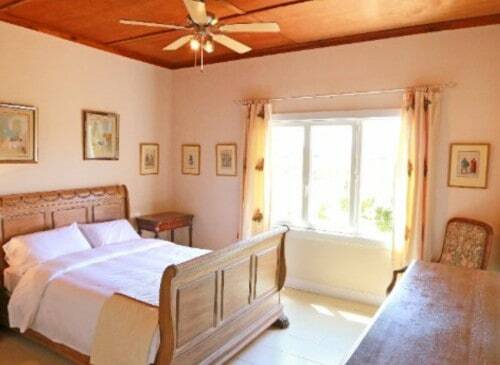 O’Vineyards B&B is located in Villemoustaussou, just 7 km from the medieval city of Carcassonne. Each of the 4 rooms has air conditioning and garden views with ensuite facilities and free wifi!